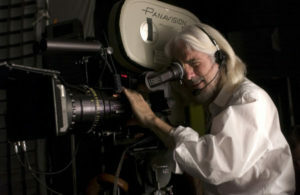 The American Society of Cinematographers (ASC) announced that Robert Richardson will receive the ASC lifetime achievement award, and Jeff Jur will receive the organization’s career achievement in television award at the 33rd ASC Awards, Feb. 9 at the Ray Dolby Ballroom at Hollywood & Highland. The event will also pay tribute to the society’s centennial in 2019. Richardson’s career has spanned nearly four decades. Along the way, he has garnered three Academy Awards for his cinematography on Hugo (2012), The Aviator (2005) and JFK (1992), in addition to six Oscar nominations (The Hateful Eight, Django Unchained, Inglourious Basterds, Snow Falling on Cedars, Born on the Fourth of July, Platoon) and four BAFTAs (Hugo, Inglourious Basterds, The Aviator, Platoon). He has worked alongside some of the most renowned directors in cinema, including Oliver Stone, Martin Scorsese and Quentin Tarantino. His most recent film is A Private War, in select theaters now, with Once Upon a Time in Hollywood slated for release next year. 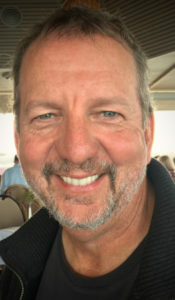 Richardson began shooting documentaries in the 1980s. His photography on Crossfire for an English TV station caught the eye of Stone, who enlisted Richardson for Salvador. That led to Platoon, and the beginning of a prolific credit list that includes Wall Street, The Doors, A Few Good Men, Natural Born Killers, Casino, Nixon, The Horse Whisperer, both Kill Bill movies, The Good Shepherd, Eat Pray Love and Live by Night. Jur has received numerous accolades for his wide range of television credits. He collected Emmy Awards for his artistry on HBO’s Carnivale (2004) and for HBO’s Bessie (2016), in addition to another nomination for Carnivale in 2005. Jur’s work has also been recognized by the ASC, having won outstanding achievement awards for the Showtime movie Last Call (2003) and Carnivale (2004), and earning nominations for Carnivale (2006), ABC’s Flashforward (2010), and Bessie. Jur studied film at Columbia College in Chicago. After school, he stayed in Chicago, where he was a gaffer and assistant cameraman on commercials, industrial films and documentaries. He photographed a number of American Playhouse telefilms, including Any Friend of Nicholas Nickleby Is a Friend of Mine from 1980 to 1984. In between TV projects, he went on to shoot feature films, such as Dirty Dancing, The Big Picture, The Last Seduction, How Stella Got Her Groove Back, Panic, Joy Ride and My Big Fat Greek Wedding.